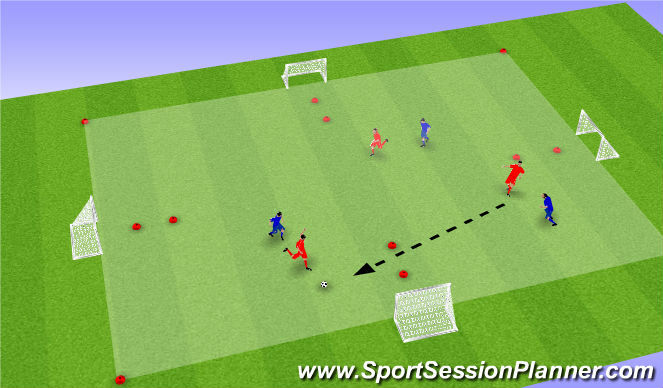 This game allows players to work on their speed of play both on and off the ball. The players off the ball have to create space and capitalize on it by finishing on goal. Players on the ball will have to recognize when to pass to feet or space or through the gate for the Killer Pass. - Objective is to pass the ball through the gate for an oncoming teammate to finish in the goal.